It’s estimated that every year 10,000 American lives are saved due to storm shelters and emergency plans. No matter where you live, there is potential for natural disasters to strike. Every state in America has experienced tornados, and many states experience multiple tornados every year. Unlike other natural disasters, when tornados hit, you only have minutes, if not seconds, to make decisions. Tornados can demolish entire homes, trap victims and leave people in the dark or even without shelter for hours to days. There’s no better time to start organizing your family’s emergency plan than today. We’ve come up with some of the top storm shelter emergency supplies you should store in your storm shelter. Although it may seem obvious, it’s important not to overlook the basics. 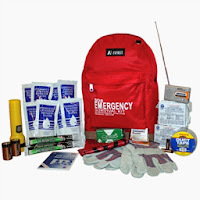 You should create a tornado shelter emergency kit that includes all the basic items such as: first-aid supplies, ample amounts of water, copies of important papers, matches and candles, a NOAA weather band emergency radio, a flashlight and backup batteries. It’s also essential that you stock up on non-perishable food items like canned food, MREs or emergency food bars. You may end up stuck in your storm shelter or your area may be inaccessible to delivery trucks after a disaster hits, making fresh food scarce. In the event that you are stranded in your shelter due to outside access being cut off or an injury, it’s a good idea to keep an air horn or whistles easily accessible so you can signal your location to others. If anyone in your home needs to take medication regularly, ask your doctor for extra to keep in your storm shelter. You may not have access to a doctor or pharmacy after a disaster hits. If you have children, it’s a good idea to store a few magazines and board games for entertainment. If you have a baby, remember to stock up on extra diapers, ointment, wipes and all other baby supplies you need on a regular basis. When you get notice a tornado’s coming, there’s no telling where you’ll be or what you’ll be doing. 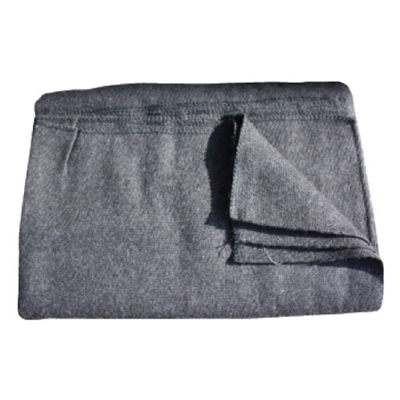 Whether you’re working out, watching TV or getting out of the shower, at any given moment you may need to make an instant dash for the shelter. If you end up in the shelter without shoes or clothes, you’ll want to have extra stored away that you can put on. Additionally, you should store a tent, sleeping bags, blankets and other basic camping supplies (think: lantern, toilet paper, hand sanitizer…) in case you get stuck overnight or your home is destroyed. Finally, it’s also a good idea to keep a battery-operated cell phone in your shelter in case yours dies or doesn’t make it down with you. If you have pets, remember to stock up on pet food and extra water! While natural disasters are destructive and can be devastating, with the right emergency plan you can avoid losing the most important things – your life and your family’s lives.